This amazing product will let you amplify from the roots up and really blow your socks off. 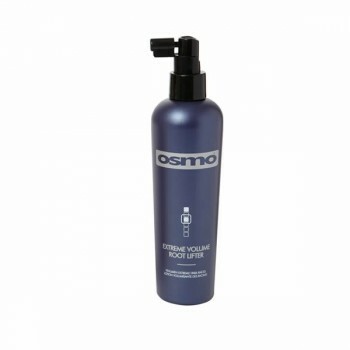 Osmo's Root lifter spray is designed to encourage volume for a long lasting and full finish. ACHIEVE THE LOOK: An extreme spray that corrects oily roots for a style that is full of body and volume with a glossy shine. Spray onto the roots of partially dried hair and distribute through to ends for maximum results. Blowdry with a large round bristle brush to lock in the intense volume.